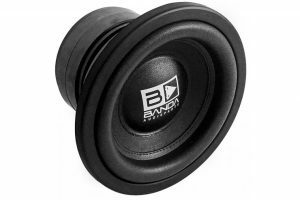 The Subwoofers Banda Bass 400 line was developed for internal (SPL and SQ) and external (Trio) automotive sound systems that require Subwoofer with excellent definition and great cost-benefit relation. Some of the characteristics of the product bellow. The magnetic set was developed with the help of finite elements software (FEM) to maximize the magnetic flux. Coils produced with Fiber Glass body with inner and outer (In/Out) coiled copper wire, combining the ability to withstand higher power with high efficiency. 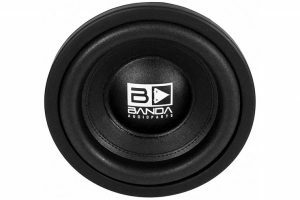 Cone made of cellulose with unpressed vacuum-molded glass fiber and extra-wide foam suspension, which guarantees optimum damping in addition to high excursion. Stamped steel sheet housing with high structural rigidity with Fiberglass-based welding terminals. * A variation of +/- 15% in the specified values is permissible.